In my career I have had the great good fortune to have met, played for and learned from some legends and giants in the music industry. The Cleveland Orchestra’s Summer Home, Blossom Music Center has a concert band comprised of some orchestra members and other professionals from Northeast Ohio. 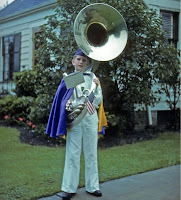 I had the good fortune to be a member of that band when Meredith Wilson was the Director. 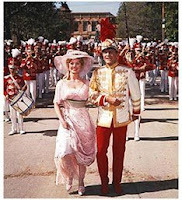 For those that don’t know, Meredith Wilson wrote, among other things, ‘The Music Man.’ He was also the piccolo player in the Sousa Band. Mr. Wilson was inspired to write ‘The Music Man’ partly by the life of Lynn Sams. Tip:Don’t invite the administration to your concerts. Reserve the first row for them and the school board. Doug McCullough took his Beavercreek High School band to Disney World. Doug also took a list of names and addresses of all the 4th graders. He had the seniors send post cards home about what a great time they were having at Disney World with the high school band. Next year his recruiting went through the roof. Close your eyes and think about the first time you were on stage. Get your kids on stage after 8 weeks. No matter how simple the concert, a Christmas program for Grandma and Aunt Jane will go a long way to retention, both for the student and the parent. 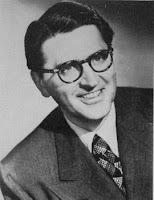 In the 60’s, The Fifth Army Band did a recording of the music of Vincent Pershicetti. Rather than put his own picture on the record jacket, the director used pictures of Pershicetti and General Michaelis. General Michaelis was replaced by General Mock who wanted to see a record with his own picture on the jacket. The band director showed him a pile of recording equipment and said “We could do an even better recording if we had somewhere to install this equipment.” The next day the Army Corps of Engineers came to install a new studio. Whose picture is on that new CD you just made? 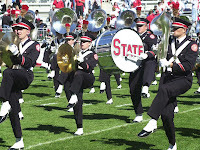 Band Boosters:Many groups are called band parents. Are alumni and others in the community not welcomed? I know of one group that changed the name to band boosters, invited alums and senior citizen groups to join. (Board positions were limited only to parents). The extra membership dues bought two new piccolos and brought in a bigger audience from the senior center. The Athletic Department:My wife and I served a two year stint as president of music boosters. We were told that athletics got all the money because the administrators were all jocks. I made a visit to the principal, the head of curriculum and the vice principal. In a non-confrontational meeting with each, I expressed that I represented 220 Music Boosters and we were grateful for the support that the Music Department had received and made a pitch for more. 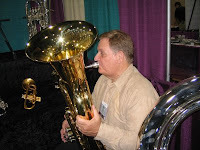 In casual conversation it turned out that the principal had played clarinet in his high school band, the vice principal had played trumpet in his college marching band and the head of curriculum, although he had no back ground in music himself, had two children in the choir. Did you ever ask the principal to guest conduct? The president of the School Board? The mayor? One of my students told me he had a great relationship with the football coach and in fact, the Music Boosters were given the concessions at football games by the coach. I asked how he had such a great relationship with the coach. He told me that when he started, he went to a football practice and sat in the bleachers. The coach came over and asked if he was a parent. When he said that he was the band director, the coach was surprised and asked why. “Well, we will be playing at all the games. I though I’d check out the team that I’ll be routing for.” They went out for coffee where the coach said the band was important to the morale of the team. Did you ever ask the football coach to guest conduct? You know, one of those special marches. Jacque Dillon, an industry legend and pioneer string teacher told me she had frequent requests to take ensembles out for performances in the community. Jackie said it is nice to play at nursing homes but her priorities were to “perform where the votes were.” She never turned down the luncheon requests at Rotary Club and the like. North Allegheny High School has a huge string ensemble called ‘Strolling Strings’. They are frequent performers at Rotary and Kiwanis luncheons. 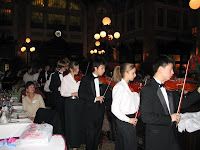 The students stroll from table to table with as few as 12 instrumentalists to as many as 200. 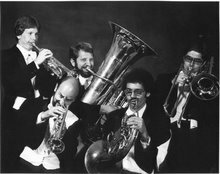 Repertoire includes Pachelbel's "Canon in D," Tchaikovsky's "Sleeping Beauty Waltz," and Strauss's "Emperor Waltz," and folk medleys. Kiwannis members always support school levies and encourage their own students to play string instruments. Remember, there is strength in numbers. And job security too. If you believe in what you’re doing, shouldn’t it be required of every student in the school? Not that it will be, but what a great premise from which to start. Who asks your students’ parents if the student will be continuing in band????? The Music Store! It is a financial commitment. Keep in mind the music store is your ally. They live and die with your success. “Decades from now, no one will remember how many notes your first clarinet missed. No one will remember your rating at state contest. But how you influence your students will impact the quality of civilization for generations.” Apologies to Dr. Tim if I paraphrased. Have stories to add?I invite you, the band director, to share additional stories that need to be shared with future generations. We tend to think our music programs are an entitlement. As we understand where they came from, we may learn some great tricks for keeping them going. Please keep stories to one short paragraph. Add a picture if you like. I’ll post as many as I can.